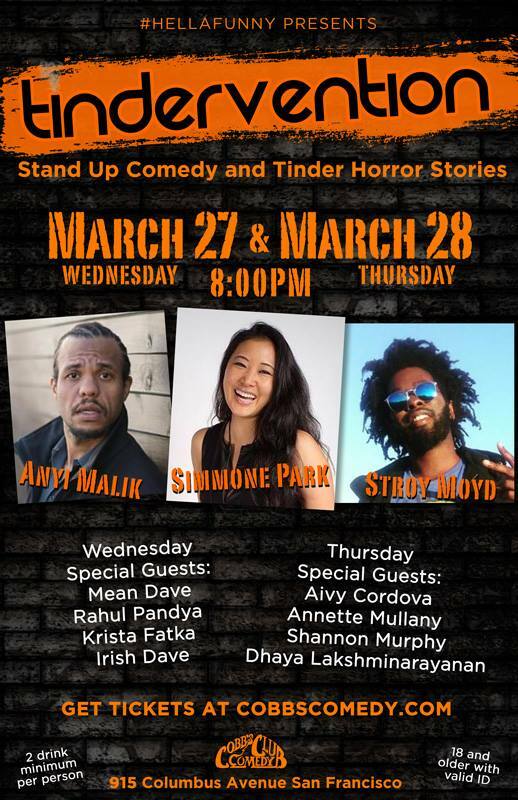 Come to Tindervention to hear some of the funniest Tinder Horror Stories and some Bumble Crumble tales from SF’s Top Comedians. Not to mention this event is taking place at San Francisco’s biggest comedy club…Cobbs. Sprinkled in between the Tinder stories will be some fire stand up comedy. 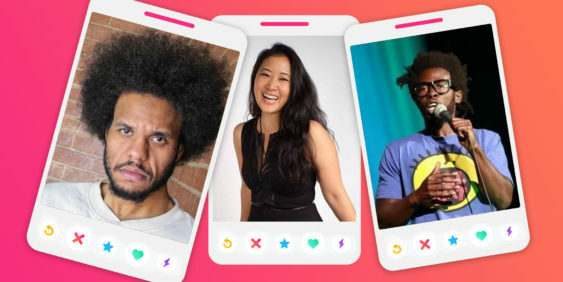 The show features Stroy Moyd who’s opened for Dave Chappelle, Hannibal Buress and appeared on SF Sketchfest, NBC, ABC – plus few special guests who will grace the stage with their regular honed stand-up acts. Like most comedy clubs there is a two-drink minimum. Lineup subject to change.